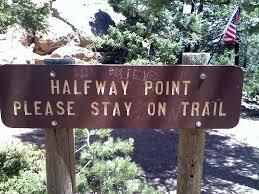 We’re midway through the year, and the words “Halfway Done” can have two meanings – one positive and one, not so much. For some of us, this post is just cheering you on. For some of us, this will be a reset. Either way, I’m encouraging you to continue your focus! For those who started with us at the beginning of the year, we made a list of things we wanted in every category. What did you want this year? What activities or hobbies did you want to engage in? How did you want to improve your relationships? What next steps did you want to take to further your education or advance your career? If you kept your vision board in front of you, set SMART goals, and planned small action steps to move forward this year, Congratulations!! You are truly living on purpose. For you, “Halfway Done” means your victory is not far away; and I am personally cheering you on! You are a hero. You are making a difference in your own life, and in the lives of those who are watching you Design your Purpose. If you can do this, there’s nothing ahead that can stop you! Now for those who got “busy”, distracted, and forgot you even made a list – “Halfway Done” isn’t looking so good. In this case it means “started but didn’t finish”. It means you’re in danger of leaving this year the same way you started it. Listen – you are better than that! You can reset, re-prioritize, and get back in the game. You can do this! Start with one small thing and GET IT DONE! Make your kids help you. Set your clock back 30 minutes earlier so you have more time in the morning. Refuse to watch TV until you get 30 minutes of whatever done. It’s not too late to change the course of your year – and your life. Trust me, I’m talking to myself right now. I wasn’t as focused as I wanted to be this year. I’ve gotten some good things done, but there are still areas where I KNOW I can do better. Thankfully, I caught myself. I’m putting my reminders up everywhere! I’m setting alarms. I’m sharing my goals with friends and loved ones… Whatever it takes. Do whatever it takes to get back on track! Let’s finish this year strong. Let’s be proud of ourselves at the beginning of the next year. Let’s honor ourselves by living on purpose and making decisions that will change the course of our lives. I’m with you, and I believe in you. The best is yet to come!